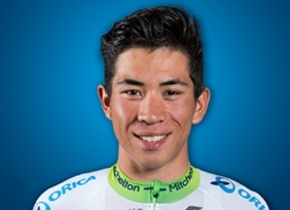 Caleb Ewan of Orica-Scott has won stage three of the Tour Down Under. The Australian beat world champion Peter Sagan to take his second victory in the race. Belgian Thomas De Gendt of Lotto-Soudal attacked in the early kilometers and was later joined by Clement Chevrier (AG2R La Mondiale), Jeremy Maison (FDJ) and Vegard Laengen (UAE Abu Dhabi). The quality of the breakaway forced the peloton to remain vigilant. The escapees got an advantage of around four minutes when the gap began to decrrease. A late attack by Laengen led to nothing as the peloton caught all of the escapees to force a mass sprint. A crash took place at a few kilometers from the finish, disrupting the planned tactics of those teams involved in the finale, but Ewan reacted well and did what he was there to do. The Orica-Scott sprinter beat Bora-hansgrohe-s Sagan with Bahrain-Merida's Niccolo Bonifazio crossing the line in third place. "It was definitely satisfying," Ewan said after taking his second stage win in this year's Tour Down Under. "It got really really hectic in the end and I thought in the last ‘kay’ I was too far back but luckily I made my way up before the sprint and had a good run to the finish. "I lost my last (lead out) guy in Daryl Impey in the crash so that was a big blow. But I just held in there tight and tried to jump onto some of the other wheels and it opened up for me in the end." Richie Porte remains in the lead and keeps a 20-second advantage over second-placed Gorka Izagirre Insausti. "It was fine today," the BMC leader commented. "The team obviously played a big role in that. It's just nice to get through a stage like that. It was quite nervous and stressful all day so it's another step closer to the finish. "I don't think you see the wind on television but if there's any wind it makes for a stressful day and there's just so much to lose on a stage like this, and a lot to gain. I was pretty close to the crash and even at the front of the bunch where the crash happened."